The Earth is unique among the inner planets in our Solar System (Mercury, Venus, Earth and Mars) in that it has a strong magnetic field. 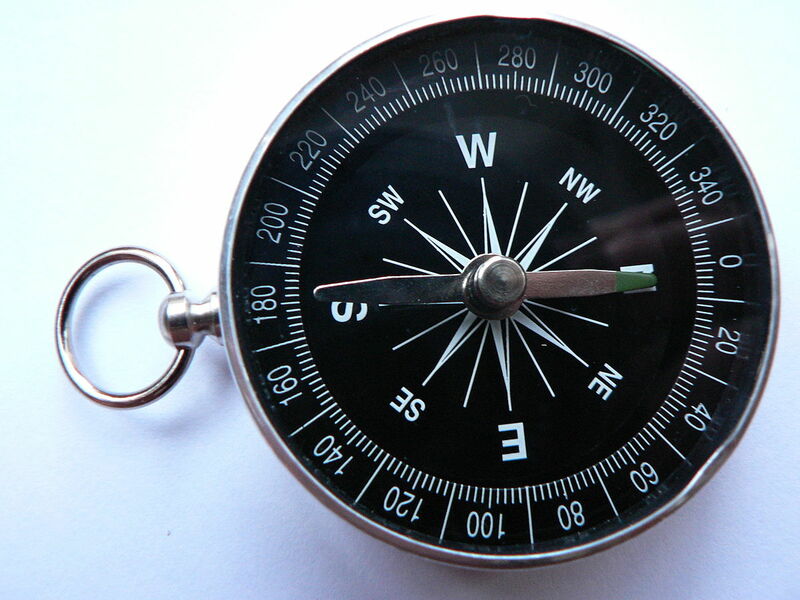 It is this invisible field which causes the needle of a compass to point North that has been used by navigators for centuries and is used by migrating birds and some land animals to find their way. Another important function of the Earth’s magnetic field is that it protects us from harmful radiation from space. In this post I will talk about what causes the Earth’s magnetic field and the protection it gives us which we would have to artificially provide if humanity were ever to build colonies on other planets. The Earth’s magnetic field behaves as though there were a giant bar magnet inside the Earth. The poles of this invisible magnet, marked as Nm and Sm in the diagram below, lie close to the real or geographical poles marked as N and S. See Note 1. The strength of a magnetic field is measured in tesla, named after the Serbian-American physicist, engineer and inventor Nikola Tesla (1856-1943), shown below. A magnetic field of 1 Tesla is a fairly strong magnetic field. For instance a small bar magnet has a field strength of around 0.01 tesla. The Earth’s magnetic field is much weaker than this. It varies between 30-65 millionths of a tesla – alternatively described as 30-65 microtesla – and is stronger near the magnetic poles and weaker near the equator. What causes the Earth’s magnetic field ? The generally accepted theory is known as the dynamo theory. The details of the theory are rather complex. 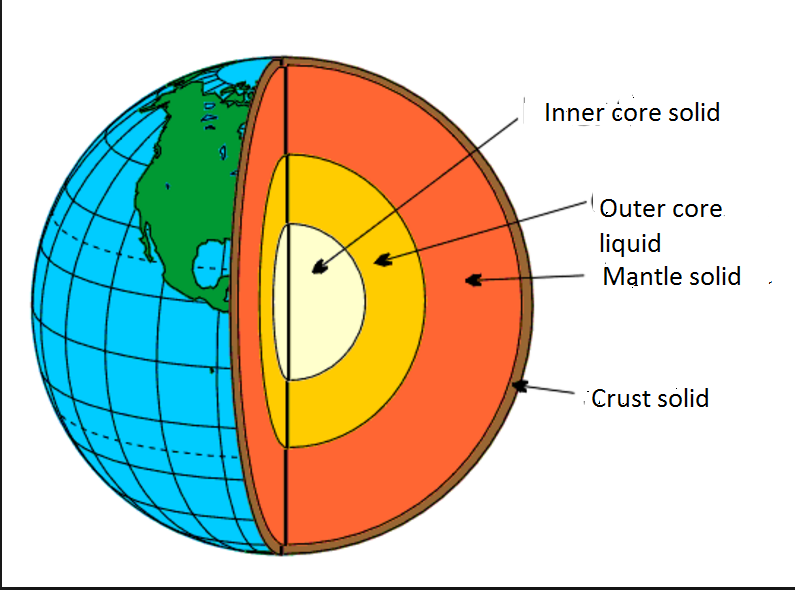 In summary, it states that the Earth’s magnetic field is generated by movements stirred up by the Earth’s rotation known as “convection currents” in the outer core, which is liquid and, because it is made out of iron, is a good conductor of electricity. By this theory, for any planet to have a magnetic field, part of its interior must consist of a liquid which conducts electricity and it must be rotating rapidly enough to generate convection currents. What about the other inner planets? Mars has no magnetic field because it is much smaller than the Earth. Its smaller size means that in the time since the planets were formed, roughly 4.5 billion years ago, its inside has cooled down more than the Earth’s, so much so that its entire interior is a rigid solid and there can be no convection currents to create a magnetic field. Venus is the same size as the earth is of similar composition and has a liquid outer core. However Venus does not have a magnetic field because it rotates far too slowly (it takes 243 days to rotate once) to create convection currents in its interior. The innermost planet Mercury has a very weak magnetic field, around 1% of the strength of the Earth’s field. This is surprising, and still not fully understood. It was assumed that Mercury had no magnetic field for the same reason as Mars – that its small size meant that the inside of the planet had cooled down so much that its entire core was solid. Plus, like Venus, Mercury rotates very slowly, once every 59 Earth days, which meant that even if the outer core were still liquid its rotation would be too slow to create any magnetic field. However, the visit of the Mariner 10 space probe to the planet in 1974 showed that the assumption was wrong, but astronomers neither then nor now have been able to reach a conclusion as to why the magnetic field exists. Perhaps the core is still liquid, or it may be that there is some sort of solidified permanent magnet within a solid core. At the moment, it is hard to see how we will ever discover the truth. In a previous post I have discussed terraforming Venus. This is a long term engineering project on an unimaginably vast scale which humanity may decide to undertake in the far future, should there be a compelling reason to do so. Terraforming would make the planet habitable to the extent that people would not need to wear any special equipment such as space suits. After it had been terraformed Venus would have a similar temperature and atmosphere to that which currently exists on the Earth. However, the lack of a global magnetic field would cause significant obstacles to humans settling on Venus. The Earth’s magnetic field forms a protective shield called the magnetosphere protecting us from a stream of electrically charged particles from the Sun called the solar wind. This is shown in the diagram below. Venus, because it has no magnetic field, has no magnetosphere. See note 2. This means that its atmosphere is being slowly blown away into space by the solar wind. However, if humans terraform Venus this atmospheric loss would not be a massive issue. The amount of atmosphere lost would be very small over the lifetime of a human being. An advanced civilisation capable of terraforming a planet would easily be able to top up the gases blown away into space. A more serious issue is that the solar wind would prevent an ozone layer being created. On the Earth there is a region of the atmosphere around 30 km above the Earth’s surface where the concentration of ozone gas is at its greatest (NASA 2013). 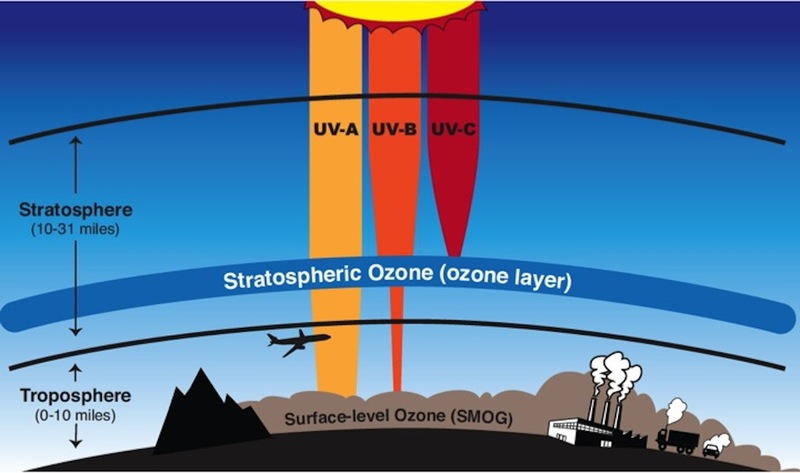 This ozone layer prevents most of the Sun’s harmful ultraviolet rays hitting the Earth’s surface. On a terraformed Venus, without a magnetosphere, the electrically charged particles in the solar wind would beak up any ozone formed in the upper atmosphere. Without a protective ozone layer, the high levels of ultraviolet radiation hitting the planet’s surface would mean that anyone who ventured outdoors would be exposed to high risk of skin cancer. Lack of a protective ozone layer would also prevent all forms of agriculture, as the UV radiation would break up all organic molecules. Another risk to health is that many of the particles from the solar wind and other deadly particles from space known as cosmic rays, which are deflected around the Earth by its magnetosphere, would hit the planet’s surface, exposing its inhabitants to a serious risk of ill health, as cosmic rays are known to affect the process of cell division. People would therefore be at risk of cancer and growth disorders, but information about this is sketchy, because the only people to have ventured outside the magnetosphere were the Apollo astronauts in the late 1960s and the early 1970s. Most of them reported seeing flashes of light even when their eyes were closed, which were due to cosmic rays which had passed through their spacesuit and their bodies being seen as a flash of light when it hit the back of their eyes. They have since developed cataracts at a much earlier age than would normally be expected. Had there been a solar storm during their voyages, they would probably have been killed. The solution to this extremely serious obstacle would be to give Venus an artificial magnetic field and this will be the topic of my next post. I hope you have enjoyed this post. In the future I will also write about geomagnetic reversals where the Earth’s magnetic field gets gradually weaker and weaker and then switches round so that the North pole becomes the South pole and vice versa and the fact that the magnetic poles aren’t fixed but are gradually moving. The Science Geek, with a good deal of proofreading and editing from his long-suffering wife, Mrs Geek. 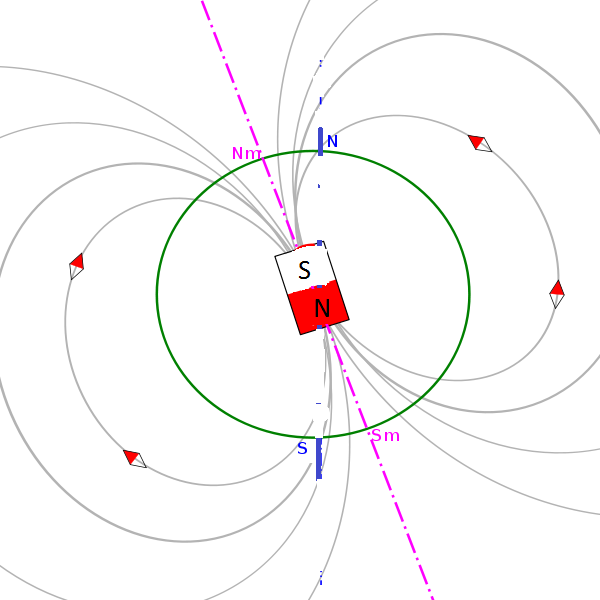 (1) To say the the Earth’s magnetic field is like a bar magnet is only an approximation. The true nature of the Earth’s magnetic field is more complex that this. There are many magnetic anomalies where the Earth’s magnetic field is much stronger or much weaker than it would be with a simple bar magnet model. (2) Strictly speaking this isn’t quite true. Venus has no global planet wide magnetic field. However, the interaction between the electrically charged particles in the solar wind and Venus’s atmosphere induces a very weak and variable magnetic field which can be as strong as 0.15 microtesla (Lumann and Russell 1997). Luhmann, J.G. and Russell, C. T (1997) Venus: Magnetic Field and Magnetosphere,Available at: http://www-ssc.igpp.ucla.edu/personnel/russell/papers/venus_mag/(Accessed: 17 April 2016). NASA (2013) Ozone hole watch, Available at:http://ozonewatch.gsfc.nasa.gov/facts/ozone_SH.html (Accessed: 17 April 2016). Previous Post Short post of the month – April 2016: Life on Mars? Sure is a good thing Earth has a magnetic field. Thanks for the lovely review. Now I am wondering, would not a manned mission to Mars face the same if not greater risks as the Apollo Moon flights? Yes that is very true. Manned traveller to Mars would face a great risk to their health due to exposure to deady radiation. The following link may be of interest to you. Thanks for coming back to address this topic! I’ll be interested to see your discussion on an artificial magnetic field. Science fiction-y question … could a generation ship, probably because it’s large enough, be able to generate its own magnetic field as a means to block that nasty radiation on its way to the next star on the left. The good news is that It looks like it may be possible generate magnetic shields for samller spacecraft than this. Excellent article! Thorough and well cited. I always wondered about why the venusian atmosphere hadn’t already been destroyed by the solar wind and radiation due to the lack of a magnetic field. Do you suppose it’s just happened very slowly or does Venus have some other mechanism that allows it to hold on to it’s thick atmosphere? However, the induced magnetic field, which I mention at the bottom of the post, provides partial protection by providing some degree of shielding which significantly slows down the rate of atmospheric loss. The information contained in the post is remarkable and information I may be able to pass on in my future’s own stories. Thank you!